A tough work-horse. 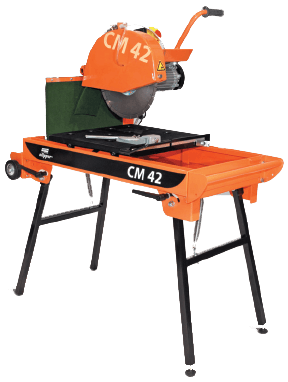 Whether it’s on the building site, hire shops or testing lab, this machine will ‘cut’ your work time. It’s efficient, durable and rugged. Pavers and bricks are sliced with precision, making your job much faster and easier. Spring Loaded Cutting Head! A must for the operator’s safety!